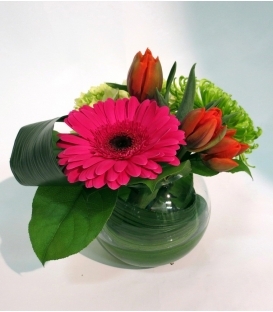 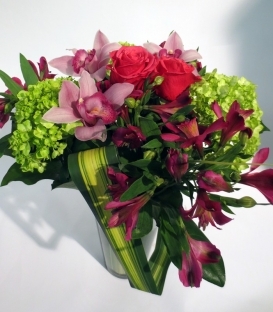 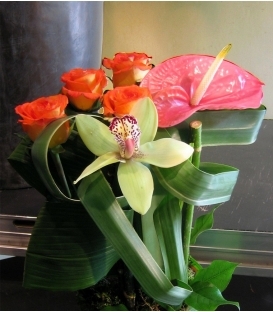 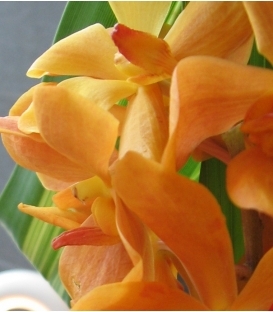 Floral arrangement with colourful exotic flowers. 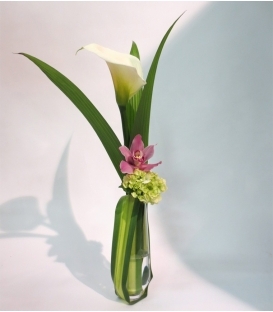 This tall arrangement as a structural feel with its white calla from Colombia, green hydrangea from South America and pink orchid from Asia. 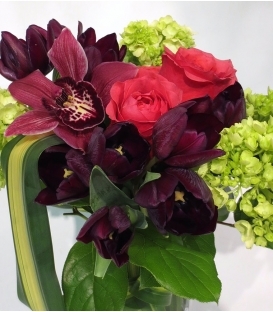 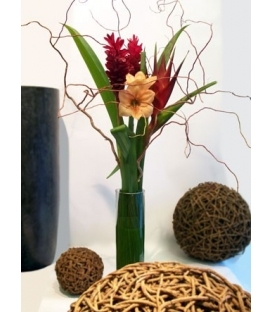 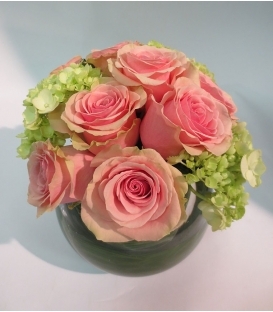 The bouquet is designed with coco and pendanus leaves from South America. 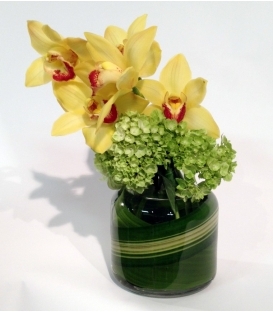 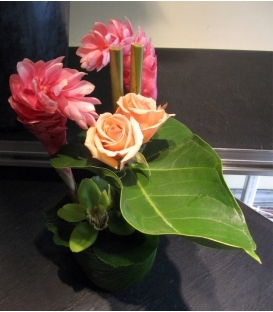 The vase is included in this modern floral arrangement.